I’m guessing from the week my family just spent visiting your Gold Coast Theme Parks that you don’t see a lot of special needs (“SN”) families like us. Your limited special needs services, autism insensitivity, contradictory messaging about ride accessibility and the disappointments endured by a certain SN young adult, my daughter, confirm it. This letter is to help you take a ride in the shoes of one young person with autism visiting your theme parks. Is the environment overall and different zones within it sufficiently accessible for our special needs (e.g. autism)? Are there appropriate activities for late teens and young-at-heart adults that require a milder, but mature, experience? Does the venue have ‘quiet zones’ to address sensory overload? Are there appropriate toilet facilities and rest facilities? We then share our experiences and opinions with our networks, especially on social media. Our 18 year-old daughter has autism and an intellectual disability. As a result of her autism, sensory issues can pose significant challenges. Loud noises, busyness and lots of bright lights can be hard to process. Fortunately, she doesn’t have mobility issues. She can walk independently and she isn’t blind. But she’s sometimes painfully slow and struggles with poor vision in dim light. So while she’s just as keen as many other young adults to experience the thrill of rides at a theme park, she struggles with speed, heights and sudden drops. But her three younger brothers, two with high functioning autism, relished the prospect. 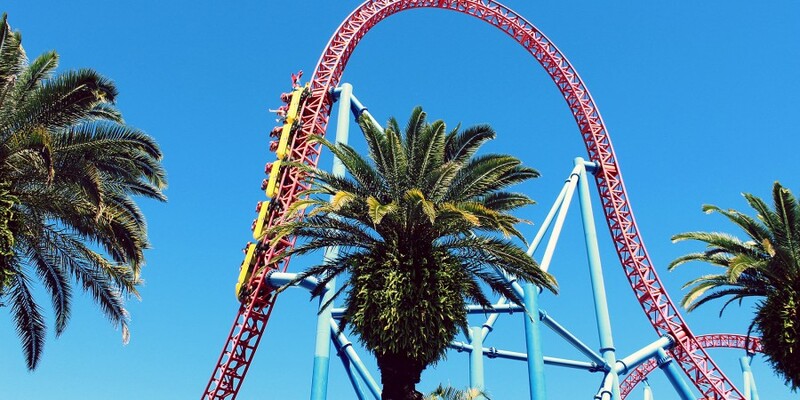 So – keep or drop the theme park holiday? Would you lose our valuable 6-person family revenue? Siblings in SN families often get left in the background as the sibling with greater special needs take priority. That’s tough. So we were determined to do it. At least once a day in the month before our departure, our daughter would exclaim: “I’m so happy about Sunday!” She’s a quiet young lady, and while she can talk, she doesn’t communicate well. It’s highly unusual for her to volunteer an opinion. You can imagine how excited she must have been to share her anticipation. Finally, we were there, armed with our weekly passes for Movie World, Wet’n’Wild and SeaWorld. I was quite happy to buddy up with my daughter, certain there’d be a nice variety of “in between” rides that would be out of the “little kid” zone but not of stomach-churning, white-knuckle variety. Now, after our experiences this week, I’ve found a new market segment for you: the “in between” riders. I wonder how many potential visitors you lose every year because you haven’t catered for people who can’t go on the fastest/highest/scariest ride. Consider the people who’ve outgrown the kiddie rides (in height/age/weight), but who can’t go on the other rides for a variety of reasons. This could open up access to fun places like your theme parks for a whole lot of people who currently don’t go or – if they do – can’t fully participate, as happened to my daughter. Starting our adventures at WB MovieWorld, we soon discovered that most rides were too fast for her. She went once on the Wild West water ride, but the two unpredictable ‘drops’ put her off. The Justice League ride was nice and slow, although she found the dim light hard and those lasers are hard to aim. Make no mistake: my daughter was aware of what she felt comfortable doing and what she wasn’t. So most rides that first day were at the bumper cars. We hadn’t yet explored the WB Kids zone. And why consider this for my daughter anyway? I was feeling quite sad for her. While her brothers were having the time of their lives, we were walking past ride after ride that she couldn’t go on, or just waiting for the boys to finish. Returning on the third day, after multiple rides on the bumper cars, we headed straight for WB Kids. I was happy she found something but pained for her dignity, surrounded as she was by young kids and curious looks. It’s great that it’s largely set up for parents to ride with their children, which meant we weren’t thwarted by height or age restrictions. The afternoon queues were short for the Road Runner roller coaster, the ‘Pounce and Bounce’ up-and-down ride, Sylvester and Tweety Cages, the carousel and the Junior Driving School. My daughter rode to her heart’s content and she was so pleased. “Now there are four things I can do,“ she told me excitedly. “And the dodgems,” I reminded her. That’s one out of ten available rides aimed at her age group (not counting the Lego 4D movie experience, which had a younger target audience anyway). The other four rides were in the kiddie section – and I mean kiddie. With her 11 year-old brother merrily riding the white knuckle DC Rivals ride, that gives you an indication of the age of the children my adult daughter was sharing rides with. Back at the carousel the next day, as our daughter was getting onto one of the animals, the attendant (a different one from before), asked if she was over 16. “Yes,” my husband confirmed. The attendant told him our daughter couldn’t ride on an animal. She’d have to ride on one of the sleds. My husband pointed out that she’d been able to previously and there were no age restrictions on the board. The attendant was apologetic, but adamant. Our daughter was extremely upset. She didn’t understand why she needed to get off the moving cartoon character (in full view of other visitors, let’s remember) and sit on the boring, stationary sled. She herself had checked the restrictions on the sign. Nothing about age on it. “Someone from management will come and speak to you about it,” the attendant told us. Eventually, a lady from management came. We explained the situation. In the meantime, the attendant obtained further information. Apparently, there are weight restrictions associated with this ride. Because of the delicate issue of weight and difficulty in measuring it, park management had deemed that people over 14 years weren’t allowed to ride on the moving animals. Okay, fair enough – we get that. You might want to rethink your age limit though. Some 12 year-olds weigh more than my 18 year-old daughter. Also, you hadn’t thought to list this restriction on the board, even though those boards are detailed. I know, because my daughter assiduously read every single one of them – even for rides she wasn’t going on. We were offered special seating for the Heroes Parade as a compensatory gesture. Thanks, but…a simple ride on the carousel was all we wanted. The gesture was all the more pointless because the sensory overload of the Heroes Parade (loud, dark, dry ice and flashing lights), would have been too much for our daughter. Over at Wet’n’Wild, I’d been sure there would be plenty for her to access. 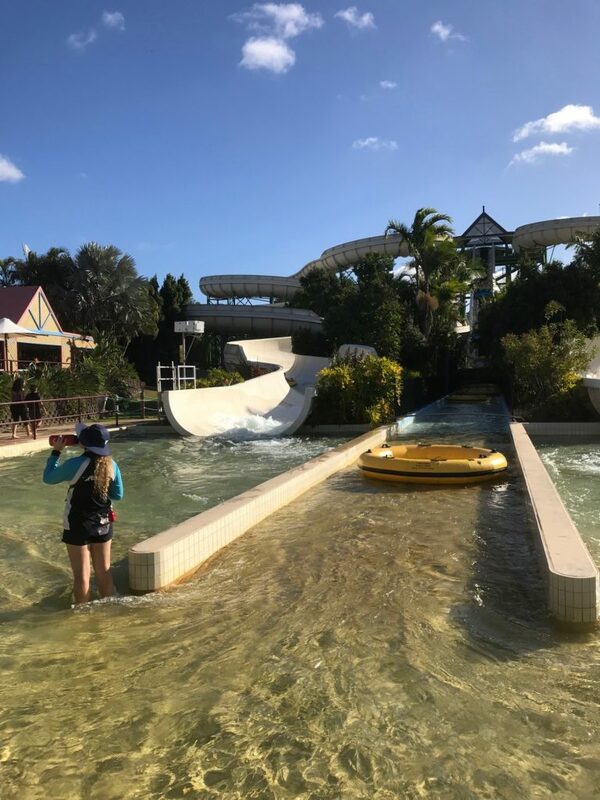 Even though neither of us was tempted by the high water slides, or the fast tunnels, surely there’d be a variety of drops/lengths, catering for all ages – how restrictive could it be? Well, more than I had expected. Here too, it seemed the only things my daughter felt she could go on were in Wet’n’Wild Junior. Several of the park rides, like the more sedate Calypso Beach, were closed, because it was the “off” season. Potentially, one or more of these might have been suitable for my daughter (although, going on visuals alone, I doubted it). However, we never had the opportunity to try. 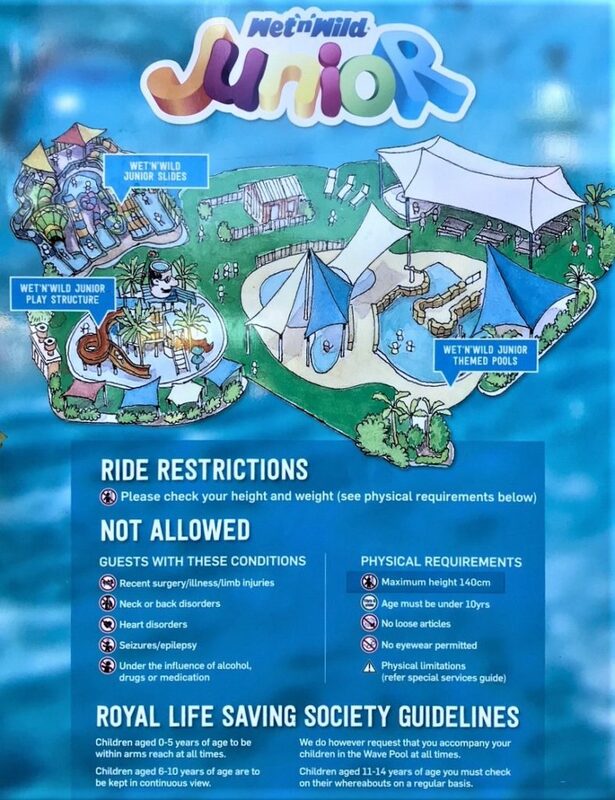 I hadn’t checked the Wet’n’Wild Junior ride restrictions, as I’d seen plenty of adults going down the slides with their children. 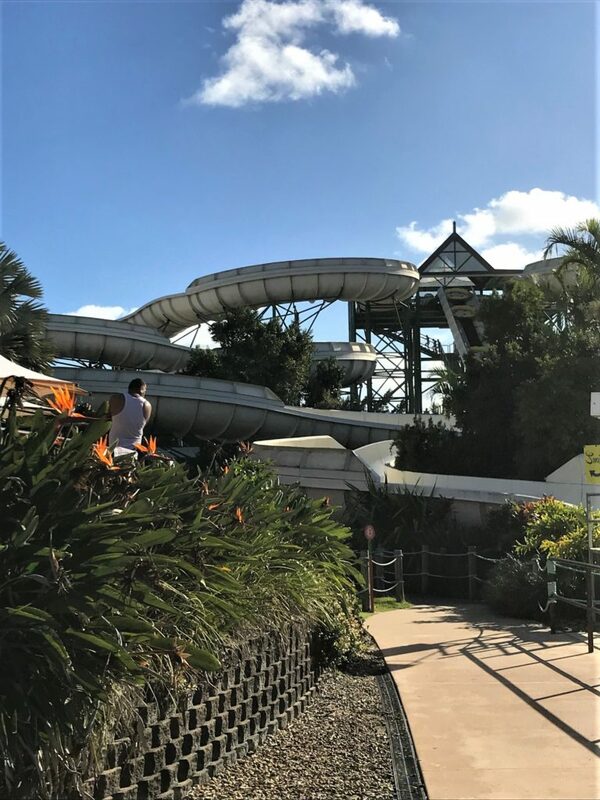 However, as we prepared to go on one of the shorter water slides, an attendant told me that my daughter was over the height and age limit. Entry restrictions. Parents were allowed in as an exception, but not my SN young adult daughter. Huh? I’d just seen a mother come down who was also clearly outside the age and height restrictions. Apparently that was okay because she was with a child under those limits. However, my daughter going down without me was not okay. Go figure. I explained that my daughter (obviously) had special needs and that all the other available rides were too high/fast/challenging. The attendant was polite but firm. There were no allowances. Believe me, having watched teenagers in playgrounds, I understand that littlies need their space. But it’s not as though the junior area was going to be overrun with young SN adults. And most other kids would find their level on the many other rides and slides. Here, some well-informed judgement calls for SN visitors would be in order. The attendant kindly suggested the slower Mammoth Falls. But as I looked across at it, I wasn’t at all convinced that I could even get her up the multiple flights of stairs to try it (over 100 steps, as it turned out). And this was before I realised that she’d need to climb them without her glasses. I could have cried with frustration. Have you considered how many short-sighted people this must affect? Unfortunately, I have to conclude that your site workforce PD doesn’t include accommodating a diverse clientele within safety requirements, or really thinking through the process SN visitors must go through to get to a ride, through a ride and off the ride. At least the age restrictions on the sign helped my daughter understand why she couldn’t go on the little button slide ride. Her brothers and father helped her up the Mammoth Falls steps, and fortunately, she loved the ride. It erased the disappointment from being barred from Wet’n’Wild Junior. …but she needed help getting up all those steps without her glasses. But being a 2 to 4-person slide, she couldn’t have got on it alone anyway. And if we hadn’t managed to get her up those steps, well, that would have been two wasted tickets. So, out of all the rides that were open for her age group, there was only one she felt comfortable going on. SeaWorld was the highlight. 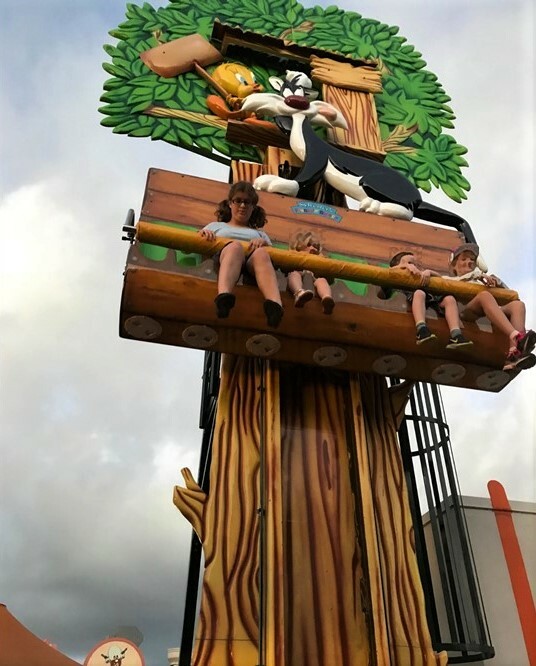 My daughter and I discovered the kiddie Nickelodeon rides, which she was able to use. And was happy to. And very much did not want me going on with her! She attracted a few surprised looks from younger children, but generally sympathetic glances from the adults. One lovely lady next to her on a ride even pointed out where I was waving. I would have preferred, for her own dignity, that my daughter could go on rides with a more “grown up” theme. Still, at least she was happy here. It was especially wonderful to have an individualised program for special needs people meeting a dolphin. Unfortunately the extra cost would put it out of reach for many, but at least it was there. And here’s a special shout-out to Kelly and Jill, not to mention Bucky the dolphin, who made this an amazing experience for my daughter and me. Our Gold Coast holiday was like a movie – years in the making. We did overall have a lovely time. We made sure we did – like all families do, but especially SN families. SN people and their families want to be theme park regulars. Your SN visitors are more aware of being excluded from things than people realise. After years of self-selecting ourselves out of activities, we’re choosing to opt in. 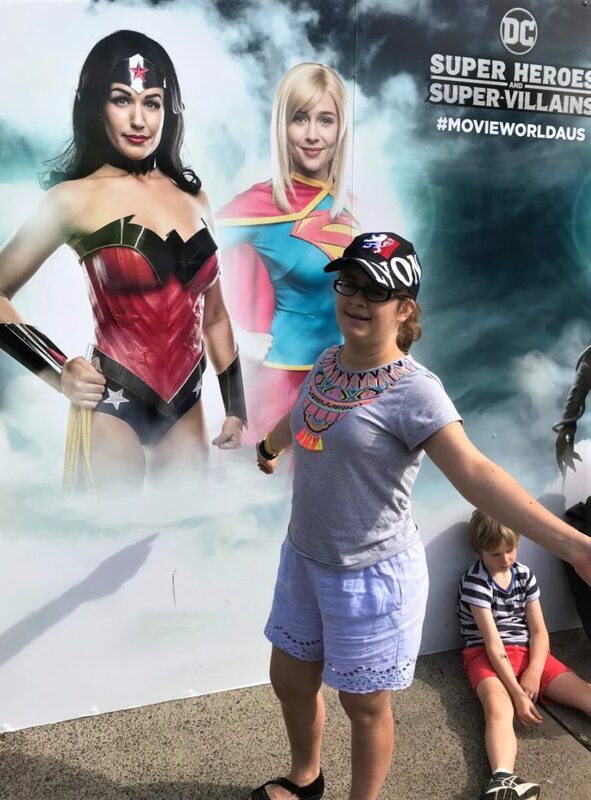 We expect you to to be on top of this, as special needs people activate their wish and their agency (including through NDIS funding) to go to theme parks and the movies. SN families are at the forefront of raising awareness and challenging unconscious biases – a fundamental term you haven’t included in your diversity policy. 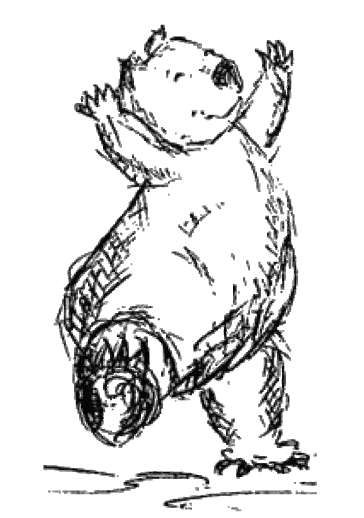 SN families are in the public eye as never before, more visibly in the community than ever before, making consumer demands as never before. Regular families are supportive. 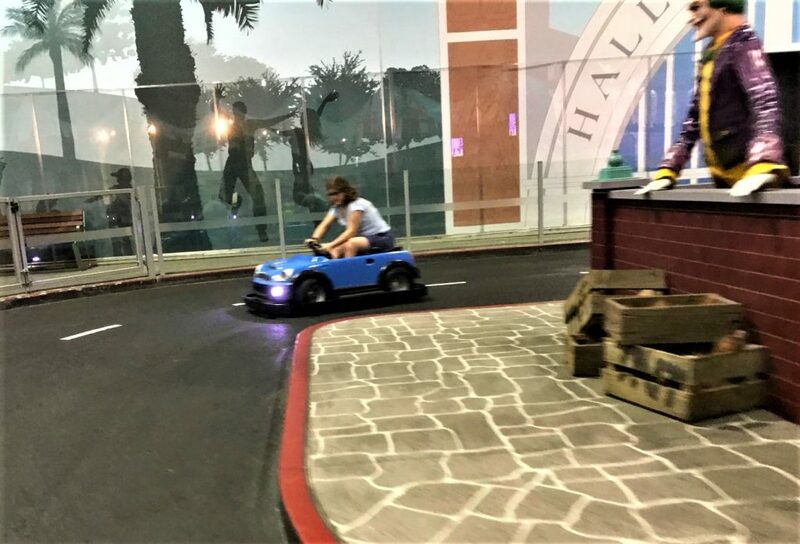 Making your theme parks a leader in special needs access would bring it up to speed with leading theme parks that are busy embedding special needs in their core business. I want to motivate you on the brand and commercial benefits of catering for autism and special needs generally, not just physical disability. Village Roadshow, if anyone can make dreams come true, you can. What will you do to make them come true for our, and your, special needs sons and daughters, brothers and sisters – the true superheroes?